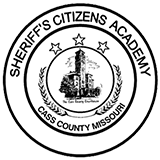 Cass County, MO – The first Harrisonville class of the Missouri Sheriff’s Association Training Academy held their culmination ceremony recently. The ceremony held in Harrisonville honored seven graduates for their completion of the 640 hour law enforcement academy. Those graduating were James Bradley, Larry Francis, Justin LaFollette, Jason Shackles, John Sianez, Tony Sterner, and Mary Young. The evening of recognition included accolades and scholarly advice from honored guest such as Missouri Sheriff’s Association Executive Director Mick Covington, Cass County Sheriff Dwight Diehl, and Cass County Prosecutor Teresa Hensley. The Missouri Sheriff’s Association recognized Harrisonville Class 118 recruits for outstanding achievements. Awards were presented to the following: Valedictorian – Tony Sterner, Salutatorian – James Bradley, High Firearms – James Bradley, Perfect Attendance Larry Francis, James Bradley, Jason Shackles, and Tony Sterner, Honor Graduate (recognizing the highest overall achievement) – James Bradley. The Class President for Harrisonville Class 118 was Larry Francis. 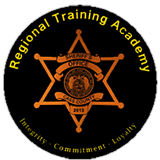 Unlike a traditional academy, the Missouri Sheriff’s Association Training Academy utilizes over 190 full-time, part-time, and adjunct personnel to deliver training throughout Missouri, which allow participants to remain in their communities while they learn. 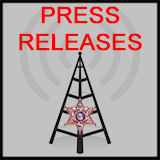 The MSATA firmly believes in taking the training to the participants; it holds basic peace officer courses in 14 different locations across the state. Sheriff Dwight Diehl and the MSATA believes local communities benefit when local working law enforcement, judicial and emergency services professionals train new peace officers. Participates complete the course in 10 months, and may be eligible for 24 college credit hours and financial aid through Missouri State University – West Plains. Anyone interested in attending the 2009 Missouri Sheriff’s Association Training Academy can contact Cpl. Kevin Tieman at the Cass County Sheriff's Office by SENDING AN EMAIL, or visit the Missouri Sheriff’s Association Training Academy's website by CLICKING HERE.